For the first time since 2002, a Ford found its way to Victory Lane at Martinsville Speedway. 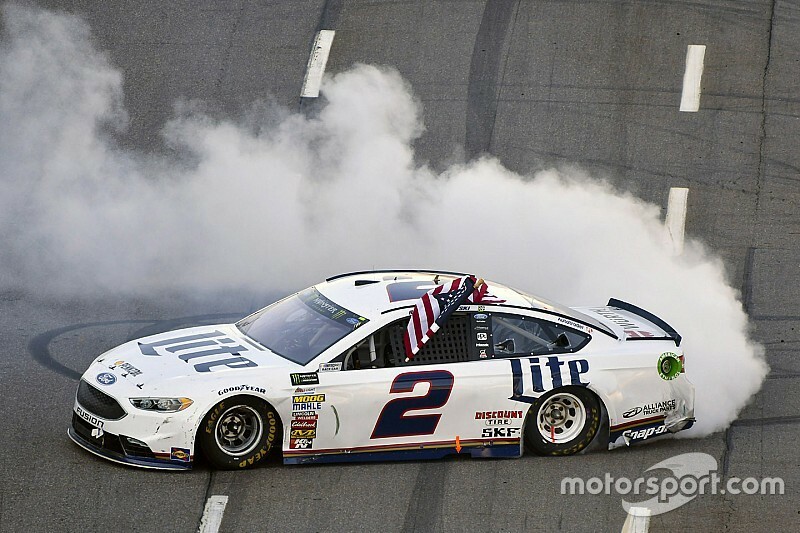 Brad Keselowski wheeled his way to his first win at the half-mile, his second in 2017 and his 23rd in the Monster Energy Cup Series. Kyle Busch, Chase Elliott, Joey Logano and Austin Dillon rounded out the top-five finishers. "This is awesome,” said Keselowski, who led 116 laps. 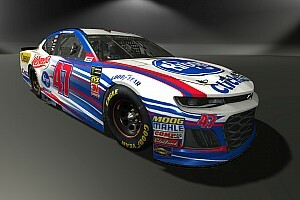 “We’ve ran so good here with the Miller Lite Ford, but something always happens and we haven’t been able to bring it home. Martinsville is just one of those champion’s tracks. The guys that run well everywhere run well here, and it’s really just an honor to win here and get to compete here. This track is 70 years old and a lot of legends have won here. It feels great to be able to join them and bring home a clock. Busch led the most laps (274). However, Keselowski wheeled to the inside of the No. 18 car for the lead at the line on Lap 458 and held the point to the finish. With 25 laps remaining, he had extended his lead by 1.2-seconds. He extended his advantage over Busch by 1.806-second at the end of the STP 500. 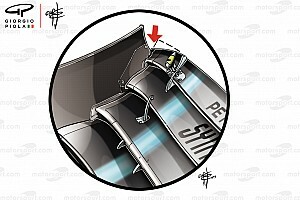 The race was slowed by 14 cautions, the last occurred on Lap 430. But the drama started early in the final segment. 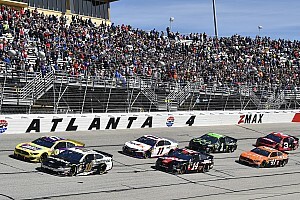 Initially, there were 18 cars on the lead lap — with Kyle Busch at the point followed by Elliott, Johnson, Keselowski, Earnhardt, Kenseth, Trevor Bayne, Kasey Kahne, Erik Jones and Truex. Polesitter Kyle Larson restarted 19th, one lap off the pace. The fifth caution was called for debris on Lap 279 with Kyle Busch in the lead followed by Elliott, Keselowski, Johnson, Kenseth, Earnhardt, Bayne, Truex and Kahne. Caution 6 was called nine laps later for an accident in Turn 2 when Austin Dillon spun and collected Erik Jones, Daniel Suarez, Kurt Busch and Ryan Blaney. The race restarted on Lap 294 but the field didn’t complete two laps before Kurt Busch slammed into the wall in Turn 3. Busch retained the lead followed by Keselowski, Elliott, Kenseth, Johnson, Truex and Earnhardt. 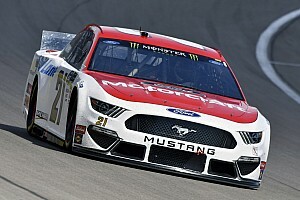 There were 21 cars on the lead lap on the restart including Blaney, who made contact with his teammate Logano on the backstretch and was forced to pit for a flat tire. Gray Gaulding triggered the ninth caution when he spun in Turn 2. Kyle Busch was still in the lead with Keselowski, Elliott, Kenseth, Johnson and Truex in tow when the race returned to green on Lap 314. Johnson moved into fourth over the next 10 laps while his teammate Dale Earnhardt Jr. raced into the top 10 on Lap 325. Reed Sorenson cut a tire and pounded the wall in Turns 3 and 4 on Lap 333. Denny Hamlin and Ricky Stenhouse Jr. were the only cars to stay out while the remainder of the field pitted. The race restarted on Lap 340 with Busch in the lead and Keselowski, Elliott, Johnson and AJ Allmendinger in the top five. The race went green until Lap 391 when Jeffrey Earnhardt blew a right front tire in Turn 2. Busch led when the race went green on Lap 399, but pit stops proved costly for Earnhardt and Bayne who were busted for speeding. Matt DiBenedetto caused the 12th caution on Lap 405 after hitting the wall in Turn 3. When the race returned to green, the battle continued between Busch and Keselowski. The No 2 moved to the inside on the restart for the lead but Busch took it back on the backstretch on Lap 415. Denny Hamlin ran into the back of Danica Patrick on Lap 418 to cause the 13th caution — and collected Earnhardt in the process. The final caution came out on Lap 431 when Truex became loose trying to pass Kenseth for fifth and spun in Turn 4. Keselowski had the lead but Busch came back on Lap 444. Fourteen laps later, Keselowski passed Busch on the inside and held the point to the end. AJ Allmendinger, Clint Bowyer, Ryan Newman, Kenseth and Stenhouse rounded out the top 10. Larson leaves Martinsville still leading the championship by four points over Elliott. Could a new rivalry be brewing in NASCAR? Dale Jr.'s strong day ends prematurely: "We’ve got to finish better"